One of the most effective treatment procedures your pet can benefit from when suffering from organ, cell or tissue damage is stem cell treatment. Fortunately, Safari Veterinary Care Centers is one of the top veterinary wellness centers in Texas offering pet rehabilitation services. 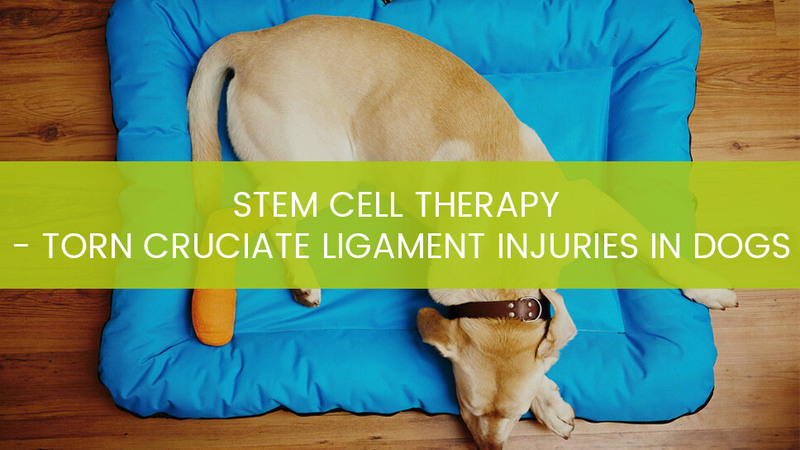 For dogs suffering from torn cruciate ligament injuries like in the video in this post, stem cell treatment offers an effective solution. The dog in this video, Jimmy had a torn cruciate ligament injury which made it almost impossible for his legs to carry his weight. Walking was a big challenge and required a lot of effort on the poor dog not until SafariVet doctors took over. Using stem cell therapy with a combination of pet rehabilitation techniques, Jimmy was able to regain the use of his hind legs after healing from the torn cruciate ligament injury. For the first one, not all League City veterinary clinics offer stem cell therapy. The process involved requires expertise and experience to administer. It is very important that you really check out the pet care service you are using to be sure they know what they are doing. A bit of research done by asking people who own pets or surfing several search engines online will give you some confidence on whether to go ahead with a pet care service or not to. On our own, Safari Vet offers a highly professional pet stem cell therapy in League City and has rave reviews online and offline to back up our expertise. This treatment procedure is based on the knowledge that stem cells are rapidly-reproducing cells that regrow themselves to cause healing and repair action wherever they are introduced into the body. In Jimmy’s case, the stem cells were harvested from an unaffected part of his part – an area containing a lot of fatty tissue. After harvesting these stem cells, they are then cultured and stored in liquid nitrogen for future use. The liquid nitrogen helps keep the stem cells viable until they are ready to be used to work on your pet as you can see in the video. At the appointed time, your pet’s veterinary expert will carry out the stem cell injection procedure by introducing them into the affected area in your pet. Next, your pet is then monitored for a short period of time to see how they will cope. Most stem cell therapy clinics in Texas like Safari Vet report positive results within a few short weeks. This is not really surprising because stem cells are unbelievably effective at replicating the cells and tissues they were introduced in and cause a marked repair through their regenerative action. In Jimmy’s case, the torn cruciate ligament was replaced with an artificial ligament impregnated with a multitude of stem cells to replace the torn cruciate ligament. Jimmy responded positively to treatment in a few weeks. An incredibly, amazing result though not unexpected, knowing how stem cell therapy works, talk more of being combined with rehabilitation therapy. Concerning the second treatment procedure involved here, SafariVet’s Veterinary Wellness Center in Texas offers a robust rehabilitation therapy that complements the stem cell therapy usually administered first to an injured pet. For instance, Jimmy still needed a lot of walking practice to get back to form using his legs even though he was healing nicely. Our rehabilitation therapy involves different walking exercises. Some of these exercises involve where the dog has to walk over bars with raised legs, walk on an underwater treadmill or walk up-hill to re-build strength on the hind legs. The essence of this rehabilitating treatment is to strengthen the dog’s legs and get it used to walk properly again. It is important to note that this therapy does not yield instantaneous results but requires patience and practice. Safari Vet has professionals who are patient and committed to helping your dog regain full control of their limbs using these rehabilitative exercises. Jimmy and other pets like him that have undergone these rehabilitative exercises were able to walk properly again with no traces of the injury that plagued them earlier. We always advise pet owners whose pets are suffering torn cruciate ligament injury to undergo this process as it still remains the most harmless, safest and effective procedure to consider for treating it. Our League City veterinary clinics have gained a lot of experience treating these cases so you need not worry excessively if your pet requires treatment for this health challenge. Does your pet need an effective for torn cruciate ligament and other similar injuries? Contact Safari Vet, League City TX and you will be glad you did in a few weeks’ time!